Swedish: This classic relaxing massage uses light to medium pressure and long gliding strokes that encourage blood return towards the heart. Swedish massage is exceptionally beneficial for increasing the level of oxygen in the blood and improving circulation as well as flexibility. Deep Tissue: Deep tissue massage therapy is similar to Swedish massage, but the deeper pressure applied is beneficial in releasing chronic muscle tension and injuries. The focus is on the deepest layers of muscle tissue, tendons and fascia. 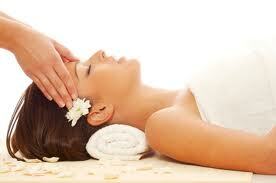 Integrative Massage: This type of massage integrates multiple modalities into a single session. It is specifically designed to meet the clients' needs and can include a combination of modalities such as: trigger point therapy, massage cupping, medical massage techniques, reflexology, essential oils, and hot stones.